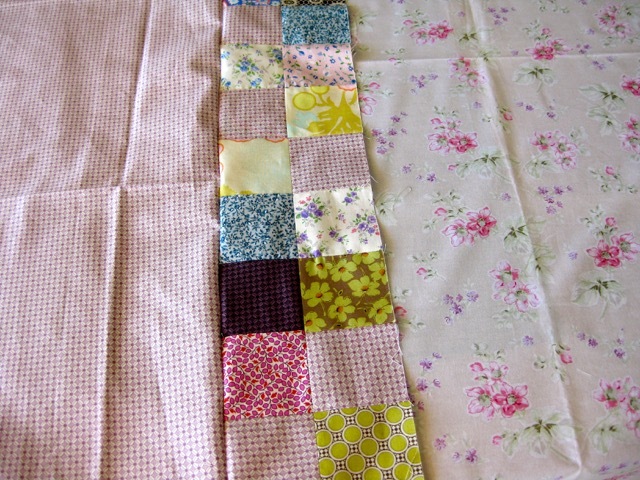 As I never really plan my quilts, it's seldom that I have enough fabric in my stash for the backing. Usually I order a matching fabric. For my Liberty Four Patch top I had found in my stash an old floral fabric from Lucien, but so disappointed that it was only one yard. 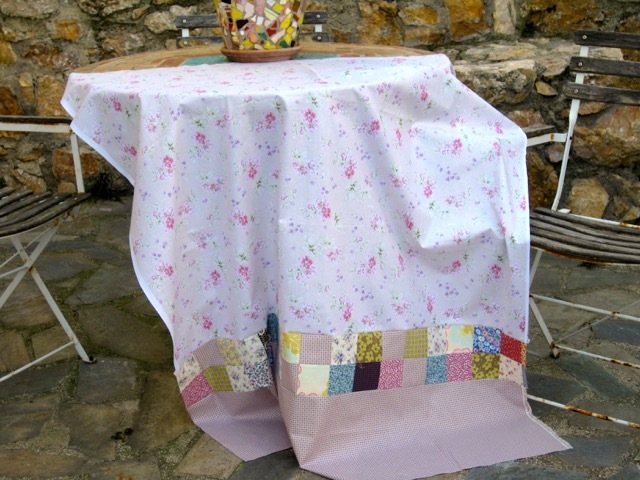 As I thought it was perfectly matching, I decided to use it and to complete with leftover squares from the top and to add a piece of lilac fabric. I must say that I enjoyed doing this for the first time. I am very pleased with the result and happy for the saving money on another fabric order! 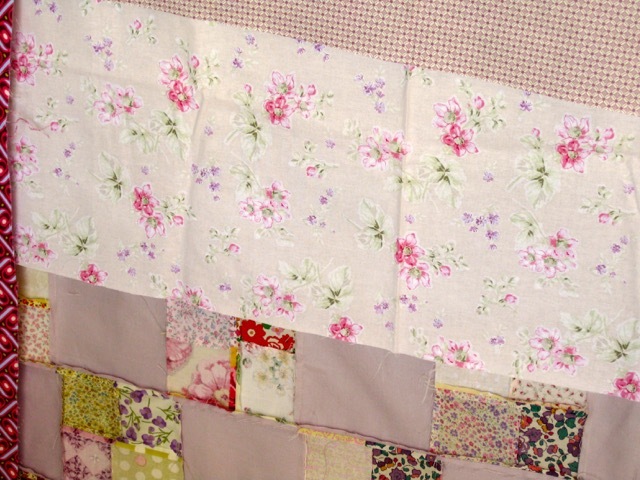 My lilac starts flowering and my quilting mood is lilac tone! I love those backings! it is fun to add such happiness for the back. That is a beautiful backing! I think pieced backings are fun and interesting, and good for you using what you already had! Thanks for sharing the beautiful flowers too! Tu as raison ! Il n'y a rien de plus joli qu'un tissu de dos formé de plusieurs autres tissus !! Et là, grâce à tes choix, nous sommes en plein Printemps !! It takes a little extra effort, but usually well worth it. :) Lovely! c'est beaucoup plus beau et original qu'un dos uniforme... si un coup de vent retrousse le quilt! Merci, et si vent il n'y a pas, nous le "jetterons" négligemment de façon a ce qu'on le voit! Merci Agnes, je suis entrain de le quilter, vous le verrez lundi. It is perfect. I love pieced backs. Both sides of the quilt will have your touch. 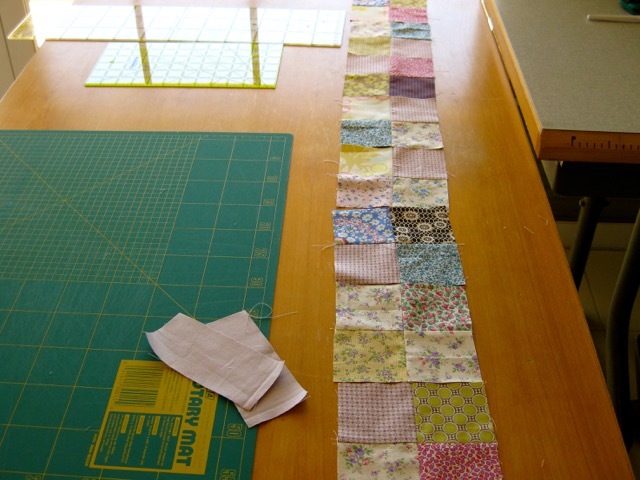 This is MUCH more interesting than using all one fabric - I personally LOVE pieced backs! So pretty! That backing is so Lovely Christine! Not planning ahead worked out even better! It adds a fun touch! 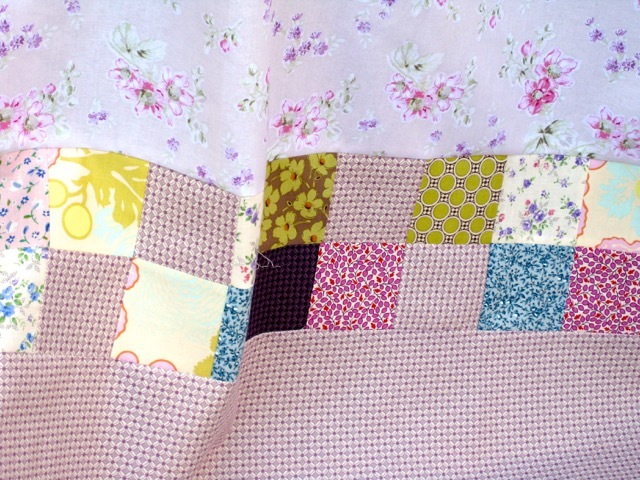 The flowered lilac fabric goes so well in this backing, and I can almost catch the scent from your lilac! Your backing is so beautiful, what a great idea! 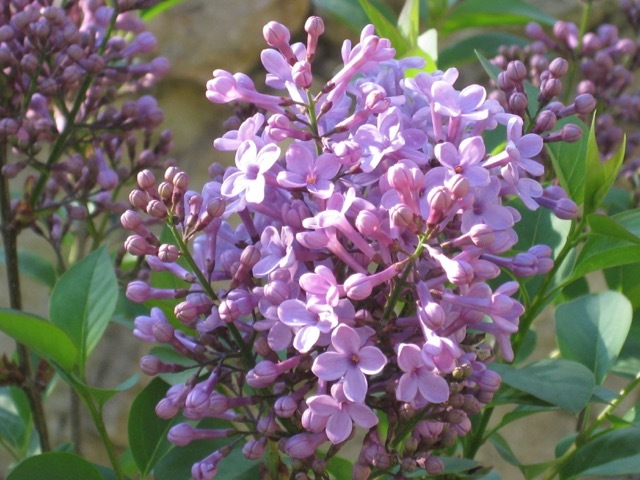 Lovely photos and I can imagine the wonderful scent from your lilac. A brilliant idea and so so pretty. Love the fabrics and the whole color scheme. Beautiful pictures :0))and lovely flower fabrics too ! Such very pretty fabrics on your quilt back. I never like to take the time to piece backs, but I always l love the result when I do. I really like your quilt back! 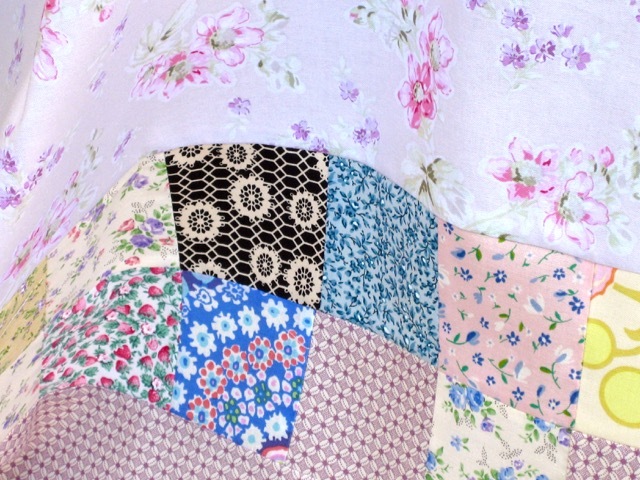 I love a pieced backing! Yours is very pretty! I love pieced backings--and since many quilts need them anyway due to size, you might as well make it fun. Yours is lovely! Your backing is so beautiful!! Pieced backings are so much work, but they are so much fun in the finished quilt. Love how yours turned out.